Have a Question? Please contact us using the form at the bottom of the page. The Delaney Designer Series Italian Collection was inspired by the simple elegance of Venice and the timeless appearance found in Tuscany. 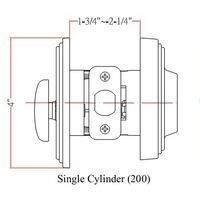 The Single Cylinder Deadbolt with an enlarged back plate and satin nickel finish is a perfect match to all Designer Series Italian Collection entry knobs or levers where additional security is required. The design of the deadbolt includes all the important features of a high quality deadbolt while offering matching style and beauty. 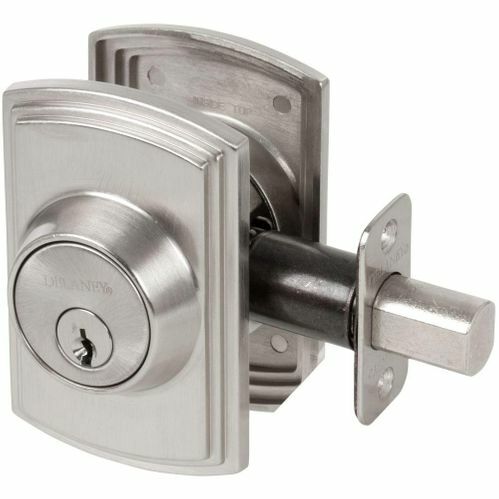 Each deadbolt comes with long 3 in. strike plate security screws. Thumb turn on the inside unlocks the deadbolt without a key to provide a quick and easy exit in an emergency. 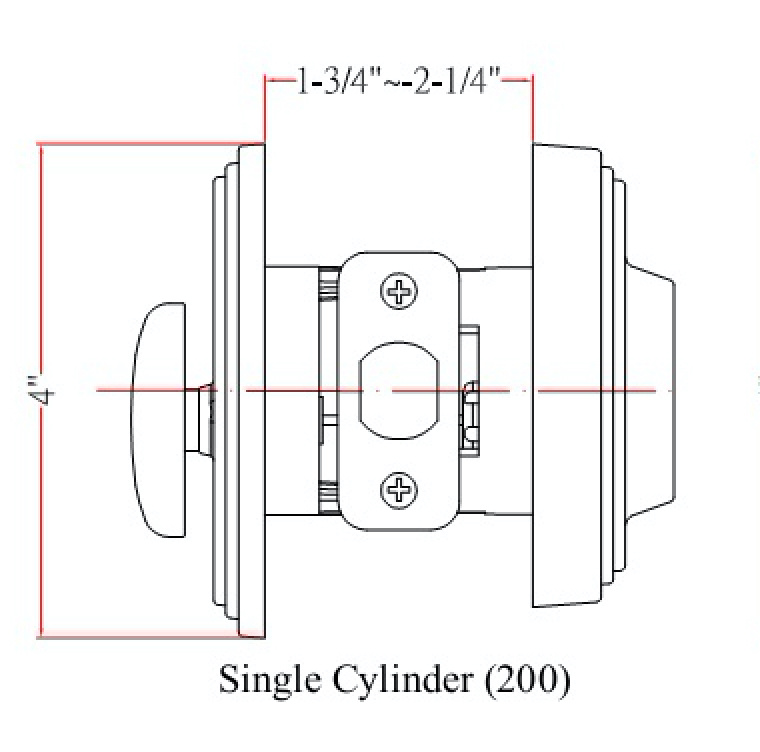 Door Thickness 1-3/8" to 1-3/4"
- What Door Hinge Do I Need? 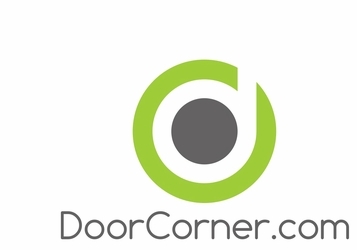 home | customer service | return policy | email us | | my cart | Copyright 2009 DoorCorner.com All Rights Reserved.